Robert Mapplethorpe, recognized as a giant of late 20th century photography, is best known for his large-scale, highly stylized black and white portraits. In 1963, Mapplethorpe enrolled at Pratt Institute in nearby Brooklyn, where he studied drawing, painting, and sculpture. Influenced by artists such as Joseph Cornell and Marcel Duchamp, he also experimented with various materials in mixed-media collages, including images cut from books and magazines. He acquired a Polaroid camera in 1970 and began producing his own photographs to incorporate into the collages, saying he felt “it was more honest.” That same year he and Patti Smith, whom he had met three years earlier, moved into the Chelsea Hotel. Mapplethorpe quickly found satisfaction taking Polaroid photographs in their own right and indeed few Polaroids actually appear in his mixed-media works. In 1973, the Light Gallery in New York City mounted his first solo gallery exhibition, “Polaroids.” Two years later he acquired a Hasselblad medium-format camera and began shooting his circle of friends and acquaintances—artists, musicians, socialites, pornographic film stars, and members of the S & M underground. He also worked on commercial projects, creating album cover art for Patti Smith and Television and a series of portraits and party pictures for Interview Magazine. In the late 70s, Mapplethorpe grew increasingly interested in documenting the New York S & M scene. The resulting photographs are shocking for their content and remarkable for their technical and formal mastery. 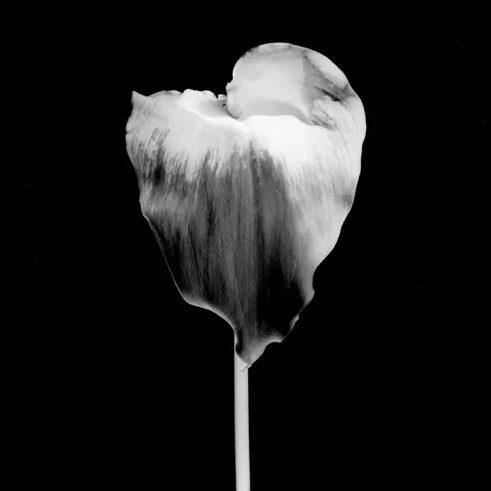 Mapplethorpe told ARTnews in late 1988, “I don’t like that particular word ‘shocking.’ I’m looking for the unexpected. I’m looking for things I’ve never seen before … I was in a position to take those pictures. I felt an obligation to do them.” Meanwhile his career continued to flourish. In 1977, he participated in Documenta 6 in Kassel, West Germany and in 1978, the Robert Miller Gallery in New York City became his exclusive dealer. Mapplethorpe met Lisa Lyon, the first World Women’s Bodybuilding Champion, in 1980. Over the next several years they collaborated on a series of portraits and figure studies, a film, and the book,Lady, Lisa Lyon. Throughout the 80s, Mapplethorpe produced a bevy of images that simultaneously challenge and adhere to classical aesthetic standards: stylized compositions of male and female nudes, delicate flower still lifes, and studio portraits of artists and celebrities, to name a few of his preferred genres. He introduced and refined different techniques and formats, including color 20″ x 24″ Polaroids, photogravures, platinum prints on paper and linen, Cibachrome and dye transfer color prints. In 1986, he designed sets for Lucinda Childs’ dance performance, Portraits in Reflection, created a photogravure series for Arthur Rimbaud’s A Season in Hell, and was commissioned by curator Richard Marshall to take portraits of New York artists for the series and book, 50 New York Artists.